By analyzing the composition of long-lived, deep-sea corals, UC Santa Cruz researchers have been able to track how ocean ecosystems responded to climate shifts over the past 1,000 years. Hawaiian gold corals, which can live to be over 4,000 years old, act as living records, or "paleoarchives," by recording in their growth rings the chemical signatures of past ocean conditions. Kelton McMahon, an assistant researcher in the Institute of Marine Sciences, presented the team's findings in February at the 2016 Ocean Sciences Meeting in New Orleans. He is also first author of a paper on the findings published in Science in December. 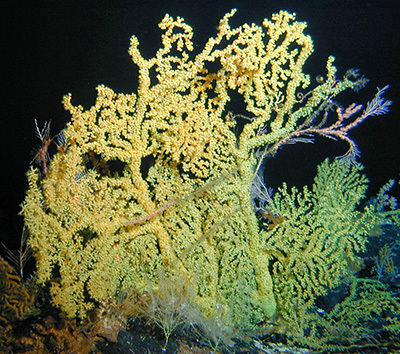 McMahon used the ancient deep-sea corals to track climate-influenced changes in phytoplankton, the free-floating algae and other microorganisms that live in surface waters and shape the ocean's chemistry, composition, and health. The corals feed on dead phytoplankton and other organic matter that drifts down to the seafloor, incorporating into their skeletons the chemical fingerprints of life at the surface. "These corals act as a sort of living sediment trap," said McMahon. "They lay down a protein skeleton in chronological rings, so it creates a record of the food they've eaten throughout their entire lives." That record reflects which phytoplankton communities were most prevalent at different periods. Phytoplankton may be small, but they shape the ocean in big ways, McMahon said. Often referred to as the "grasslands of the sea," they account for the majority of the ocean's biomass and form the foundation of marine food webs. "They touch on all of the fundamental aspects of the structure and function of marine ecosystems," McMahon said. The coral skeletons contain essential amino acids left largely intact from when they were in the cells of phytoplankton from hundreds of years ago. 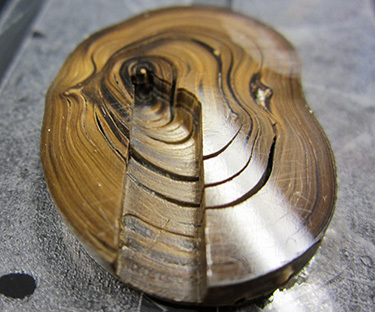 By analyzing the composition of these amino acids in different growth rings, the researchers could tell what types of phytoplankton were dominant at different times in the past. Three major phytoplankton regimes emerged from this analysis, each coinciding with well-known climatic shifts that took place over the past 1,000 years or so. During the Medieval Climate Anomaly, a warm period from 950 to 1250, the phytoplankton community in the North Pacific was dominated by cyanobacteria that thrived when the supply of nutrients was limited due to a stable layer of warm surface water that inhibited mixing with nutrient-rich subsurface waters. The second major phytoplankton regime occurred during the Little Ice Age, from 1400 to 1850. During this period, surface waters cooled and mixed more with subsurface waters, increasing the availability of nitrates and other nutrients. As a result, the plankton community shifted from cyanobacteria to microscopic algae. The third period, which began with the onset of the industrial age and continues today, is dominated by nitrogen-fixing cyanobacteria, which are able to use nitrogen absorbed from the atmosphere into surface waters. This shift coincides with the increasing sea surface temperatures and changing climate driven by the rise in atmospheric carbon dioxide due to fossil fuel use and other human activities. Coauthor Matthew McCarthy said this latest resurgence of cyanobacteria is unlike any other. "The rate of change is completely unprecedented. There's nothing else in the record that shows things changing so fast," said McCarthy, a professor of ocean sciences at UC Santa Cruz. Traditionally, oceanographers look to records preserved in layers of sediment on the seafloor to reconstruct past environmental shifts. But they don't have good sediment records of the past 1,000 years in the North Pacific, because the sediment accumulates so slowly and the top layer has undergone too much mixing, McCarthy said. In addition, it can be difficult to match sediment records to other historical climate data. "When you look into past archives to reconstruct things, you usually find a lot of variability," he said. The Hawaiian gold corals, however, produced a surprisingly clear record. "I was amazed," said McCarthy. "It was a massive 'aha,' lightning bolt moment that showed what we're doing actually works. You don't get those moments all that often. This is an amazing data set that Kelton generated." McCarthy and McMahon share similar backgrounds, but they differ in their approach to research. McCarthy contributes a deep understanding of paleoceanography, tracing the ocean's shifting conditions through geochemistry, while McMahon uses his training in ecology to understand how changes in the oceans affect marine ecosystems and animal communities. Both said they couldn't have tackled this problem without uniting to take an interdisciplinary approach. "This is a spectacular example of what you can do by crossing field boundaries and collaborating in novel ways. Taken in isolation, none of the disciplines we come from could have produced or interpreted this," McCarthy said. The two have already teamed up with the Monterey Bay Aquarium Research Institute to launch the next stage of their research. They are using remotely operated underwater vehicles to collect bamboo coral, another long-lived deep-sea species, in Monterey Bay's deep underwater canyon. The researchers plan to apply the same techniques they used with Hawaiian gold coral to understand how El Niño cycles have influenced California's dynamic coastal systems. Ultimately, they want to better predict how a changing climate will shape the region's multimillion-dollar fisheries. 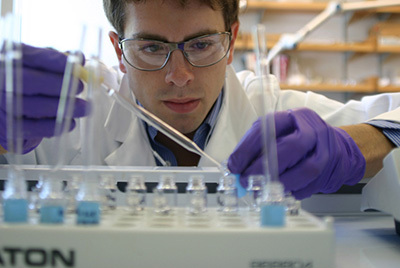 In addition to McMahon and McCarthy, the study's coauthors include Owen Sherwood at the University of Colorado, Boulder; Thomas Larsen at the University of Kiel, Germany; and Thomas Guilderson at the Lawrence Livermore National Laboratory. Sample collection was funded by the National Oceanic and Atmospheric Administration's National Undersea Research Program and the National Geographic Society, and the research was funded by the National Science Foundation.